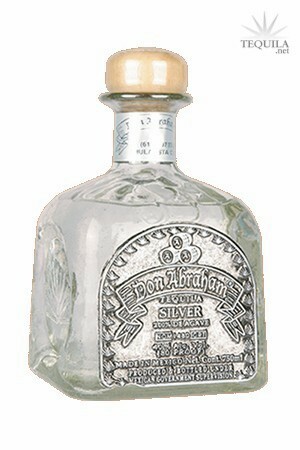 Tequila Las Americas, S.A. De C.V.
Tequila Don Abraham Silver 100% agave is an authentically natural product. Elaborated in the traditional antique process. Strictly controlled to obtain the best and finest quality. The careful cooking process, fermentation and double distilation result in a product specially made to satisfy the taste of the most demanding connoisseurs. this product is aged 4 months for perfection. Tequila Don Abraham is elaborated in the valley of Amatitan "Tequila" Jalisco, Mexico. In this region the perfect combination of soil, weather and other natural factors, allow to have the best conditions required to produce blue agaves of the highest quality which are selected by experts to be use in the elaboration of 100 agave "Silver, reposado and Aged Tequila Don Abraham". And the record for longest time between reviews of a brand goes to...Don Abraham. My first was on the añejo - Review #10. Here we are on review #454 and I can't believe that I'm finally just trying the blanco now. It comes from NOM 1480 (Tequila Las Americas, S.A. De C.V.) that makes some other solid brands like Celestial and Puro Verde. Everything from there has had a unique profile. I'm looking forward to this one. Aroma: A rich cooked agave nose with a hint of earth and citrus. Initial Taste: Very similar to the nose. Agave flavors are bold and bright. Body: Medium to thick body with nice oils. Nice peppery notes and the earth come forward. A lot like the better tahona crushed blancos out there. Finish: A linger that you would expect given the progression of the drink. A nice peppery agave punch and earth on the linger with just a hint of sweetness. This blanco is about natural agave flavors and a great mouthfeel. Not overly sweet, not too green, not too earthy. Just a great balance and one that coats the mouth and stays with you. Too bad it took me this long to try it. Very nice stuff! Don Abraham Tequila Silver, NOM 1480. What an elegant, understated, & unpretentious tequila this is. From it's crystalline, clear color to it's rich, robust cooked agave nose, this is one finely crafted spirit. The first taste revealed complex cardamon & licorice developing into earthy, orange citrus flavors with a light-medium body. This was followed by a moderate finish that rolled off the palate to the back of the throat with a warm, glowing sensation. 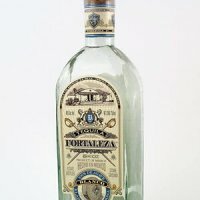 I sincerely enjoyed this extremely smooth tequila & highly recommend it to any blanco/silver lover, if you can find it. To me, reminiscent of El Reformador but slightly better. I had to order mine online which was another positive experience making it, however, a bit more expensive. This beautifully hand-blown crystal bottle of tequila set me back $32.95 + shipping from the west coast. Well worth every penny! Tasted out of a shot glass. Not my favorite way to taste, but that's all they had to serve it in. I had been wanting to try this one for some time now. I kept hearing good things about it. Well, I think it lived up to its reputation. This a a very nice blanco. If your preference is earthy, and herbaceous , then this is the blanco for you. I love the 'Old Mexico' presentation, and its a great value. Aroma: An earthy aroma, full of herbs, and slight smoke. Initial Taste: A thin mouth feel tequila. No bitterness on entry with an initial taste of herbs. Body: A bold body, consisting of herbs, earth, smoke and agave, and an ever so slight floral. FInish: A semi heated finish of medium duration with a lingering of herbs.